Waybright Academy offers technology cords for homeschoolers who have shown a passion and dedication to all areas of technology. Students can achieve this distinction by completing three courses in a single subject area of their choice, in accordance with our three listed areas. For students who go above and beyond in technology, we offer a honors technology gold cord that recognizes their dedication. This cord is awarded when a homeschool student completes all three of our single cords. Give your homeschooler the recognition they deserve on their special day! Fill out the application below and we will contact you to get started. Here are the cords your graduate can earn. There are three cords to choose from, in accordance with our three technology tracks. Students may take any of the regularly offered intermediate, advanced, or expert courses to fulfill each cord's requirement. The courses students will take depends on which cord they would like to pursue. Some example courses in each track are listed below. 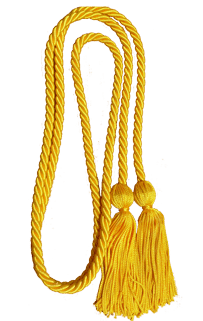 Recognize your hardworking homeschooler's achievements during their graduation with the gold honors cord! The highest homeschool distinction offered at Waybright Academy! 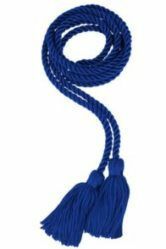 This cord is awarded to students who complete the requirements for and receive all three of the other Waybright Academy technology cords. In addition to the technology gold cord, students will also receive the respective cord for each area. Don't worry if you are not sure of the exact date. The information submitted will assist in the scheduling of classes. Any of the courses offered at the day and time my child is available. I'm flexible. Choose one or more courses from the list above to help us get an idea of what to offer in the upcoming session. Not all courses are available at all times. Is there anything you would like to share about this child to help make his/her experience better? Do they have any prior experience? Do they qualify for gifted/special needs services within their school district, or have been tested? Would you like to find out more? Email info@waybright.com.